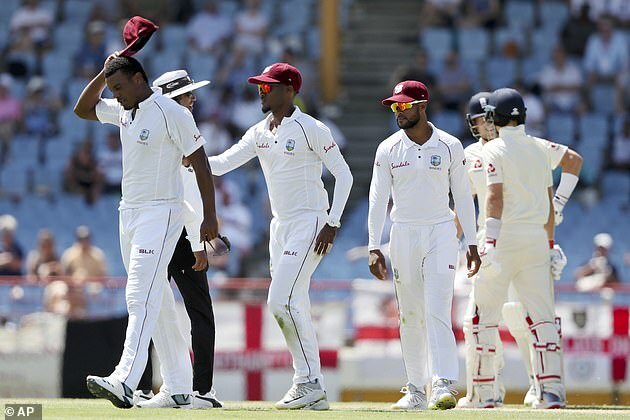 West Indies fast bowler Shannon Gabriel has apologised to England captain Joe Root for their confrontation in the third Test but is insistent he did not use homophobic language. Gabriel was banned for four matches by the ICC after allegedly calling Root a ‘b***y boy’. Root earned widespread praise for his retort, saying ‘don’t use that as an insult, there’s nothing wrong with being gay’. According to The Telegraph, Gabriel apologised to Root at the end of the third Test on Wednesday when England had won the match. 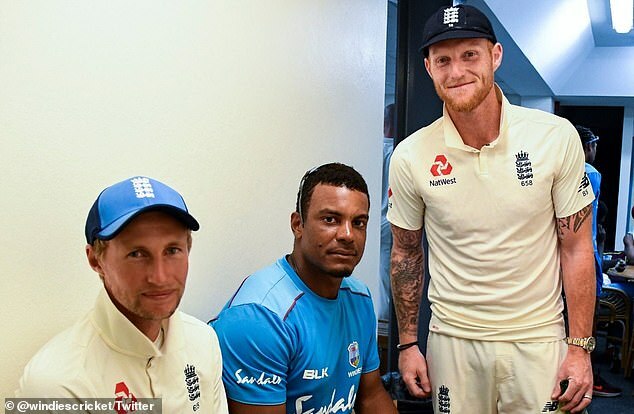 The official West Indies Twitter account shared a dressing room picture of Gabriel with Root and his England team-mate Ben Stokes after the series had finished. It was captioned: ‘Shannon entertains England skipper Joe Root and Ben Stokes after the Final test of the Wisden Trophy’. As well as being banned, Gabriel was fined 75 per cent of his match fee. 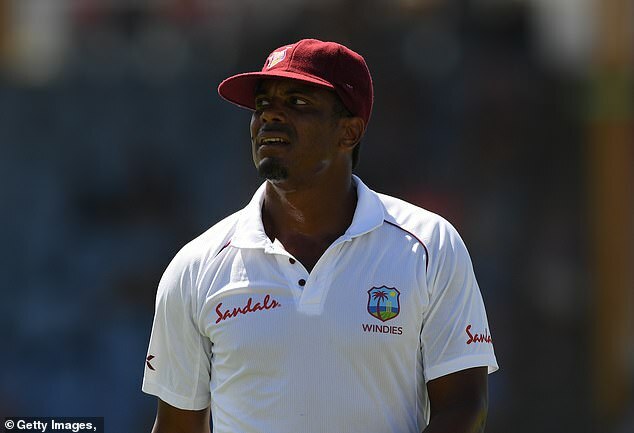 He misses the first four matches of West Indies’ one-day series with England. 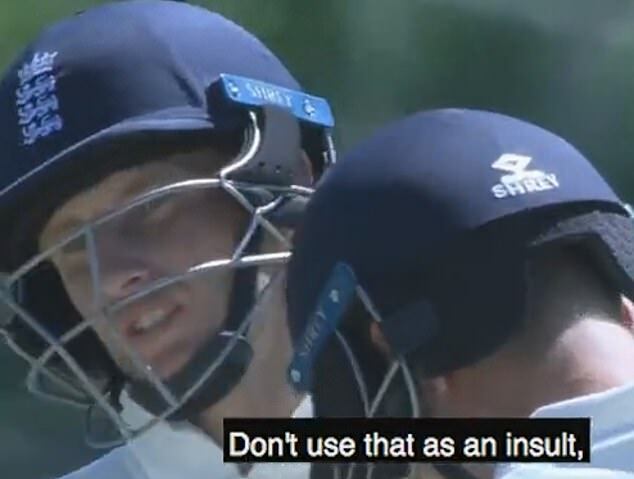 Speaking about the incident during the Test, Root said: Root said: ‘As a player you feel you have responsibilities to uphold on the field and I stand by what I did. I just did what I thought was right. ‘They’re a good bunch of guys and it would be a shame if it tarnishes what has been a good, hard-fought series.